From farm to fork, our food system should be something we are proud of—supporting farmers, workers, and local economies; ensuring that everyone has access to enough nutritious food to stay healthy; and protecting our soil and water for the future. How close are we to realizing this vision? What do we know about the overall health, sustainability, and equity of the food system across the United States? UCS created the 50-State Food System Scorecard to help answer these questions. First, we gathered publicly available data on a wide range of indicators. We then grouped the indicators into 10 broad categories and calculated scores for each state in each category. Finally, we averaged state scores across all 10 categories. The results show that both the failures and the promise of the US food system are distributed broadly—and sometimes in surprising ways—across the 50 states. Most states scored well in at least a few categories, but few scored well in all of them. For instance, Vermont, which had the highest overall score, was outranked by 23 states when it comes to reducing agriculture's ecosystem impacts. And while Arkansas's overall score was low, it ranked in the top 10 for farming outlook and farm investments. The rankings, and the stories behind them, point to opportunities and offer models for improving every state's food system. And they remind us that even as we focus our energy on shaping a better federal farm bill, there's a lot we can do to transform our food system at the state and community level. Across the country, local chapters of the National Young Farmers Coalition advocate for policies that will sustain young, independent, and prosperous farmers now and in the future. Photo: National Young Farmers Coalition. The average age of farmers in the US has been steadily increasing, reaching 58.3 years in the most recent census, and farm operators have historically been overwhelmingly male and (non-Hispanic) white. These demographics reflect persistent inequities and a legacy of racial discrimination in the food system, and they threaten agriculture’s long-term resilience. At the same time, they also present an opportunity. Young people, women, and people of color want to farm, and they will be critical to advancing innovation to ensure a more prosperous, sustainable, and socially just future for agriculture. But for too many of these aspiring farmers, needed tools and resources—land, credit, and training—are out of reach. Among the states struggling with an aging farming population is Illinois, where the average age of farmers is 57.8 years and just 18 percent of farmers are beginners. Enter the Chillinois Young Farmers Coalition—a chapter of the National Young Farmers Coalition—which advocates for policies such as the federal Young Farmer Success Act, which would give young farmers in every state greater access to student loan forgiveness. 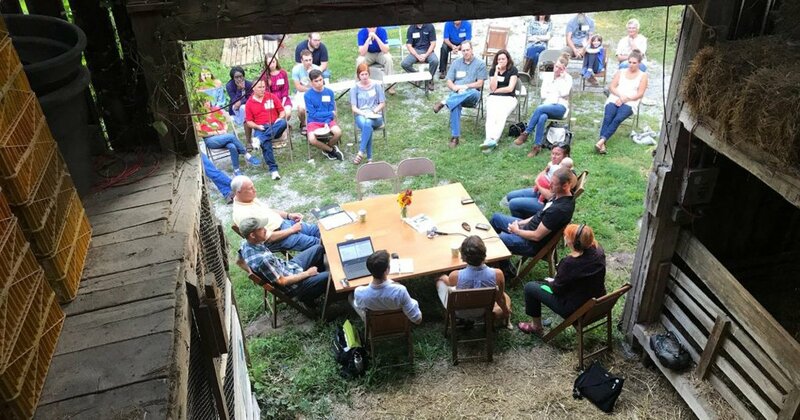 Locally, the Chillinois Young Farmers Coalition provides trainings and resources to help Illinois farmers—whether urban, suburban, or rural—partner with land trusts, permanently protecting land from development so farmland will be available to future farmers. For more solutions to increase innovation and resilience and develop the next generation of farmers, read our blog and check out the Chillinois Young Farmers Coalition. Montana farmer David Oien, co-founder of Timeless Natural Food. Just one in 10 people in this country eats the recommended amount of fruits and vegetables, and many of us eat too much processed food and meat. At the same time, the output of US farms also fails to reflect dietary guidelines: 59 percent of farm acres are dominated by the production of just a few commodity crops, used primarily to produce livestock feed, biofuels, and processed foods. The farming practices that produce most of these commodities—including monocropping and applying large amounts of synthetic fertilizers and pesticides—contribute to water pollution and other negative consequences for our environment and public health, especially in communities of color. And the dominance of industrial commodity crop production weakens local and regional food systems that could otherwise support healthy eating in communities. But across the country, farmers and ranchers are beginning to diversify their farms in ways that benefit farmers, eaters, and the environment. For example, complex crop rotations that include small grains and legumes can boost farm profits, improve soil health, and reduce pollution, while also increasing the supply of healthy food. In Montana, for example, the state’s top three crops account for just 38 percent of its cropland. That means more of Montana’s land is available to produce other crops, including legumes such as peas and lentils, which are good sources of protein, fiber, folate, and other nutrients. And these crops have another benefit: in a process called nitrogen fixation, they interact with soil microorganisms to boost soil fertility. Including such crops in crop rotations can reduce farmers’ dependence on chemical inputs and protect or even regenerate soil and water quality. The state’s legume production has been driven by the pioneering spirit of four central Montana farmers—Bud Barta, Jim Barngrover, Tom Hastings, and David Oien. They started Timeless Natural Food to produce and market a selection of heirloom organic lentils and specialty grains, and their story is chronicled in the 2016 book Lentil Underground by Liz Carlisle. “Timeless is now the largest private employer in Ulm, Montana,” Carlisle notes, “and the shift to organic and specialty crops has saved dozens if not hundreds of family farms.” But with better incentives, research, and technical assistance, more farmers around the country could jumpstart new business opportunities, protect our environment, and supply an array of crops that support healthy human diets. For more on the positive impacts of diversified farming systems, read our 2017 report, and to learn more about lentil production in Montana, check out Timeless Natural Food and Lentil Underground. 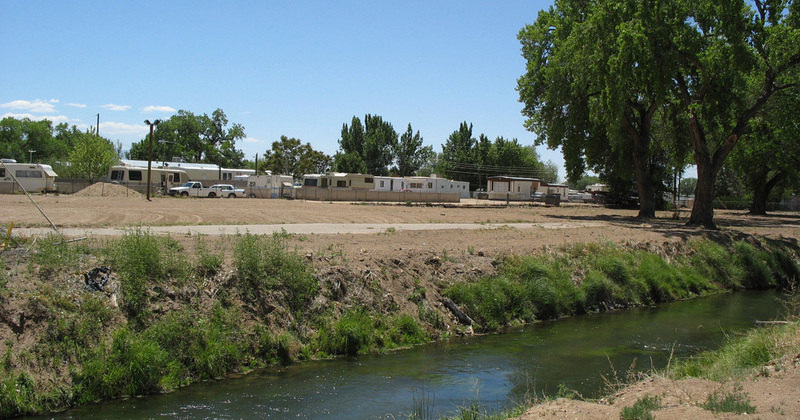 An acequia in Los Lunas, New Mexico. Reducing reliance on non-renewable resources is key to building a more sustainable food system. Several practices based on agroecology can help farmers and ranchers lessen their dependence on such resources, including fertilizers, pesticides, energy, and water. For water in particular, innovative irrigation solutions can help reduce stress on scarce water supplies. As climate change causes more frequent and more intense droughts, farmers in arid states like New Mexico are likely to feel its effects acutely. On our index of water and irrigation resilience, New Mexico scored below average; this result was driven by a high percentage of water withdrawals being used for irrigation and livestock, and low percentage of irrigated acres across the state using either conservation irrigation systems or conserved water. Fortunately, farmers in the state are rising to the task, adapting ancient solutions to modern-day challenges. One solution dates to colonial times, when the Rio Grande was diverted into miles-long canals carrying water to pueblos and small farms. These canals, or acequias, are still used by more than 12,000 family farms. Researchers at New Mexico State University studying the hydrology of acequias have found that they reduce water loss from evaporation by allowing water to seep into the ground, causing the water table to rise. At the same time, this water dilutes groundwater pollutants, recharging the aquifer with cleaner water. More than just an irrigation system, acequias are a means of communal water management by which community members have an equal stake in the water distribution. The New Mexico Acequia Association, a Santa Fe-based nonprofit organization, aims to protect water resources and defend small-scale agriculture as a viable livelihood. Learn more about how the New Mexico Acequia Association works to strengthen the legal framework around acequia governance, preserving water for future generations, and read our blog about how farmers, ranchers, and water resource managers plan for drought. Growing oats with clover in on a small grain marketing pilot for Practical Farmers of Iowa. Today’s dominant industrial farming model is highly specialized, lacks biological diversity, and leaves soils bare for much of the year, with consequences for both farm resilience and the surrounding ecosystem. For example, monocrop operations often use plowing practices that cause soil erosion and require heavy applications of fertilizers like nitrogen and phosphorus. When these nutrients are lost to watersheds through runoff and leaching, they can cause pollution that threatens drinking water; degrades rivers, bays and lakes that support tourism and recreation; endangers fisheries; and leads to dead zones in coastal waters. In Iowa, corn and soybean systems make up much of the landscape—the state is first in the nation for corn production, and second for soybeans. At the same time, Iowa also has some of the nation’s highest rates of soil erosion and nutrient loss. But in the battle to reduce agriculture’s negative ecosystem impacts, some Iowa farmers and researchers are at the forefront. 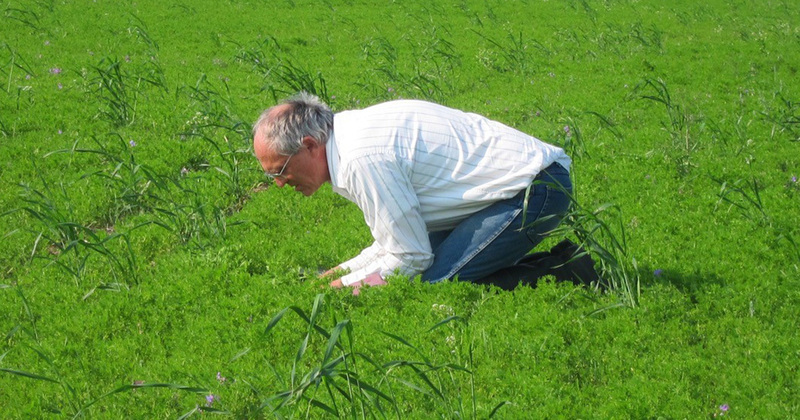 Practical Farmers of Iowa (PFI), a farmer-led educational organization, is promoting cover crops, usually small grains or legumes planted between seasons, as a conservation strategy. Long-term studies from Iowa State University have shown that cover crops can protect soil and water quality and improve wildlife habitat. And the practice is taking hold across the state, thanks in large part to PFI’s work sharing resources and giving encouragement to farmers across the state. From 2009 to 2012 (the latest data year for this metric in our scorecard), cover crop adoption in Iowa increased dramatically. And adoption has continued to rise, reaching 600,000 acres in 2016. 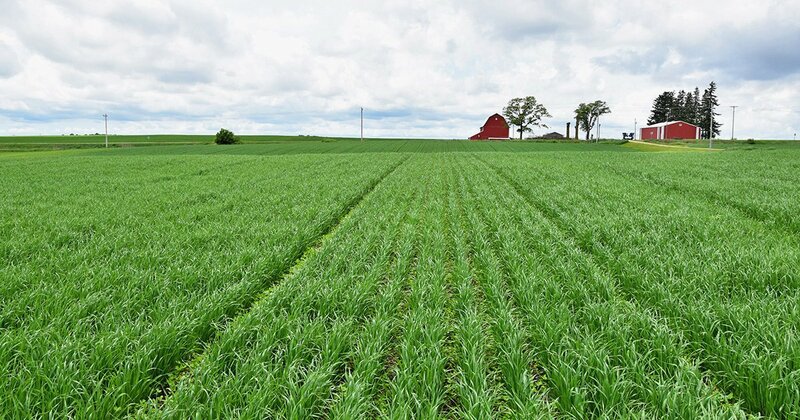 Learn more about Practical Farmers of Iowa, and read a UCS report that explores how modified cropping systems that include cover crops can reduce erosion while maintaining productivity and profitability. 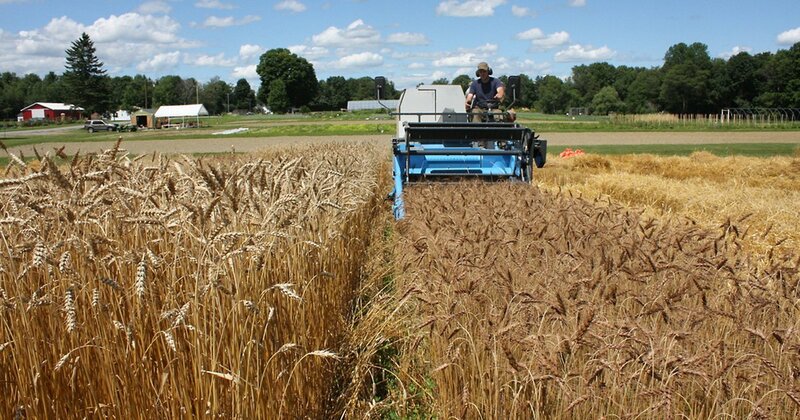 Researchers at the University of Maine are working to identify practical solutions to weed and disease challenges and other obstacles for organic grain producers. Farmers can employ a variety of strategies to reduce their environmental impact. Practices including reduced plowing, planting cover crops, rotating livestock pastures, and incorporating deep-rooted perennial plants can help conserve natural resources like soil and water. Many of these practices are included in organic farming systems which, while not yet widespread, have expanded in recent years. In Maine, more than four percent of all farmland is under organic management. Transitioning to organic management can benefit farmers. Beyond reducing soil erosion, protecting water quality, and enabling farmers to earn a price premium, incorporating a suite of conservation practices also increases yields and resilience by building soil health for the long term. However, going organic also presents farmers with a unique set of management challenges. Because organic certification restricts the use of most fertilizers and pesticides, organic farmers face a limited toolbox with which to confront pests and pathogens. Equipping farmers with more such tools will help support the expansion of conservation agriculture practices—in Maine and around the country. Read more about organic research at the University of Maine, and check out our blog to learn why we should invest in organic agriculture research. Investing in key programs at the US Department of Agriculture (USDA) is critical to advancing more sustainable agriculture practices. Some of these programs help farmers implement conservation practices, such as the Environmental Quality Incentives Program and the Conservation Stewardship Program. Other essential programs pioneer organic and agroecological research, extension, and education, paving the way for improved agricultural systems; these include competitive grant programs in the Organic Agriculture Research and Extension Initiative, the Agriculture and Food Research Initiative, and the Sustainable Agriculture Research and Education program. These competitive grant programs work in tandem with the nation’s land-grant colleges and universities—public institutions designated by Congress to teach agriculture—to manage agricultural experiment stations and provide extension services to their surrounding communities. The first land-grant universities were designated in 1862, with subsequent congressional designations to historically black universities in 1890, and to Native American tribal colleges in 1994. Today, many of these institutions, as well as other colleges and universities, have established sustainable agriculture programs. It was a legislator from Vermont, Justin Smith Morrill, who sponsored the original land-grant legislation in Congress. 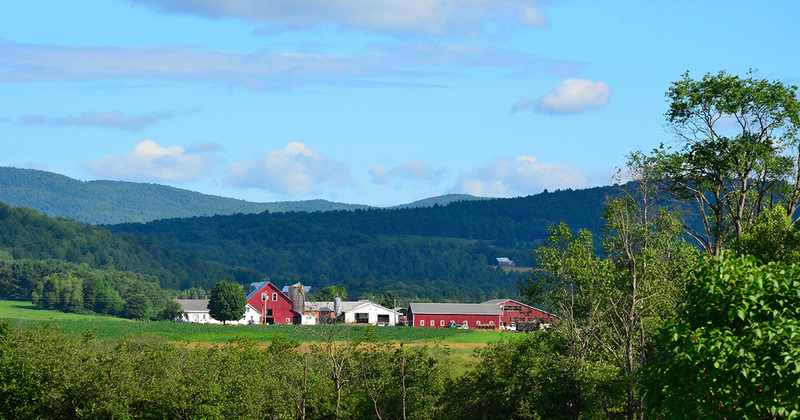 Today, Vermont is home to the University of Vermont, one of the nation’s leading universities for agricultural researchers, where scientists at the College of Agriculture and Life Sciences work with funding from USDA programs to conduct cutting-edge agroecological research, and then translate their findings to Vermont’s agricultural communities. Relative to its farmland area, Vermont has received more funding from key organic and agroecology research programs than nearly any other state. The University of Vermont is also home to a Food Systems degree program, which prepares students to make the food system more sustainable, healthy and just. This holistic approach requires applied research that brings together diverse stakeholders, from farmers to policymakers, to work together to solve problems at the intersection of agriculture, food, and the environment. Read more about the need for public investment in agroecology research, and learn more about food systems research at the University of Vermont. Over 60 community stakeholders in Riley County gathered to discuss local food system gaps and assets and to prioritize needs. 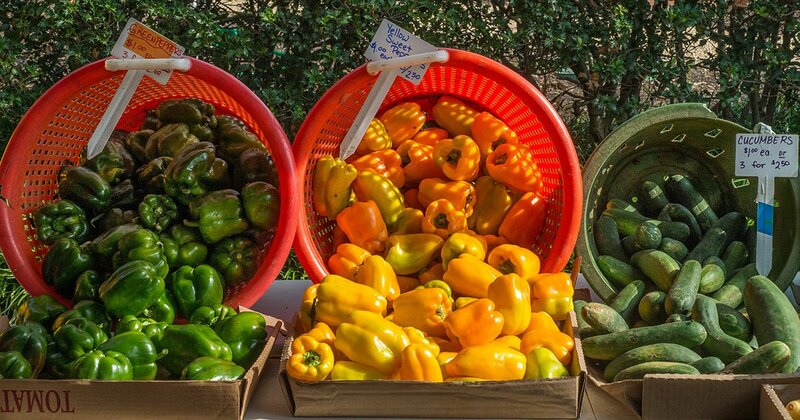 In thriving local and regional food systems, farmers markets enable small and midsize farms to sell their products directly to consumers, while food hubs make it possible for these producers to more efficiently work with large institutional buyers, such as schools or hospital systems. Both types of differentiated markets can increase farmer profits while making fresh, nutritious foods more readily available to eaters—but each requires specific food infrastructure to do so. Food policy councils, networks, and coalitions can spur the development of food infrastructure by leveraging human capital to secure financial resources and policy solutions. Kansas has a history of vast monocrop operations producing wheat and soybeans, largely for foreign markets. But a growing number of communities across the state have launched food policy councils to help create the conditions for farmers in Kansas—the breadbasket of America—to grow food for Kansans, too. Kansas now has more than four food policy councils per million residents (well above the national average), including several in rural areas of the state. In Riley County, home to Kansas State University, a group of community members launched the Food and Farm Council of Riley County and the City of Manhattan, Kansas to identify the benefits, challenges, and opportunities to improve the food system within their community. First, the council commissioned a food system assessment of a nine-county region, including Riley County, to reveal common barriers to healthy eating, estimate the economic impact of food production in the region, and measure rates of food insecurity, defined as a lack of consistent access to enough food to feed everyone in a household. 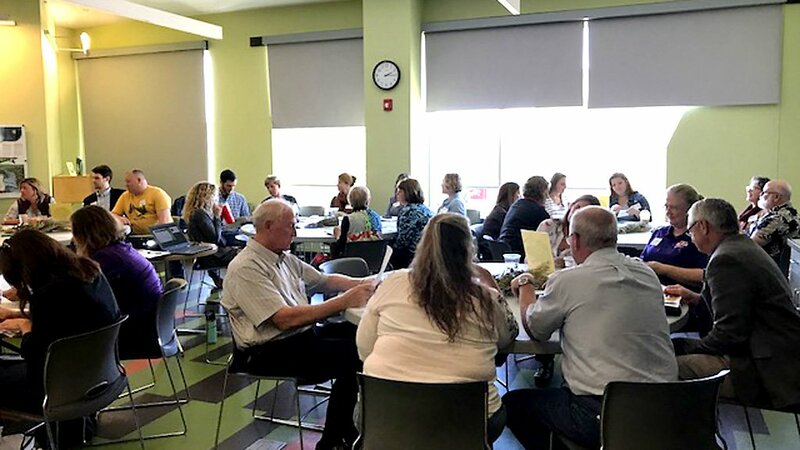 With a baseline understanding of the region’s food system challenges, the Riley County Food and Farm Council has established work groups to turn the results into action. Vickie James, a registered dietitian and one of the organizers of the council, says the council's systemic approach will incorporate "strategies such as a food recovery program, improved coordination of public transportation to access food, and coordination across nonprofits, the food-related business sector, and the local government." Read more about the Riley County Food and Farm Council, and check out the UCS report analyzing the economic impact of connecting producers with institutional buyers. The prevailing food system produces a glut of processed foods and sugary drinks—and it’s contributing to a massive public health crisis, with growing rates of diet-related chronic diseases like diabetes, hypertension, and heart disease. Building a better food system means making it easier for all families to put nutritious foods on the table. Unfortunately, for too many families, healthy diets are out of reach. Nationwide, about 42 million people lack consistent access to enough food, and many adults report consuming fruits and vegetables less than once daily—40 percent and 22 percent, respectively. Research shows that diets low in fruits and vegetables, as well as those high in sodium and saturated fat, are important risk factors for chronic disease—the burden of which is borne disproportionately by low-income communities and people of color. These diet-related indicators provide a window into how our food system is performing—and in too many communities, it is failing. But in Minnesota, and in many places across the country, communities are organizing to break down socioeconomic barriers to healthy eating. The community-centered non-profit organization Appetite for Change, based in North Minneapolis, puts food at the center of its work for social, economic, and racial justice. 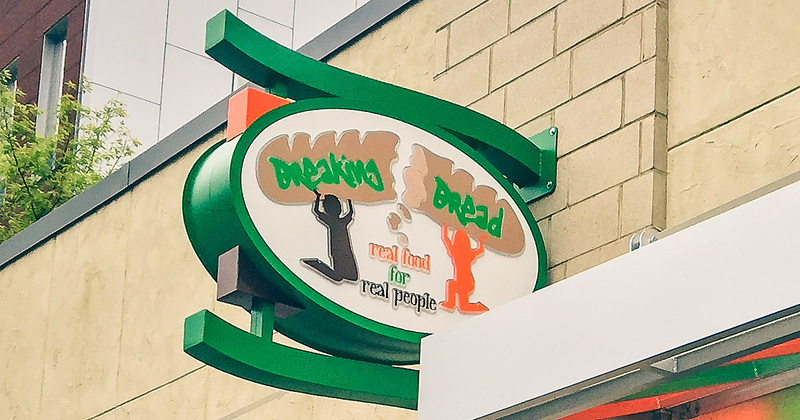 The organization’s Community Cooks workshops enable participants to learn cooking techniques and nutritional information from one another, while its community-run eatery, Breaking Bread Café & Catering, offers North Minneapolis residents a wholesome and culturally appropriate dining option in their neighborhood. With training and leadership development opportunities, the organization also empowers urban farmers to sell their fresh produce locally and prepares youth and adults both for employment and to be agents of change in the broader community. Through these and other initiatives, groups like Appetite for Change are taking important steps to improve health outcomes for all communities. Learn more about Appetite for Change, and read about policy solutions to making healthy food more available for all. A healthy, sustainable, and equitable food system would enable everyone to put nutritious foods on the table while ensuring that farmers can make a living. Various programs at the US Department of Agriculture aim to accomplish both by investing in local and regional food systems that shorten the distance between producer and consumer. These programs expand market opportunities for local farmers while increasing the availability and affordability of fresh, nutritious foods, often in low-income and underserved communities. The Food Insecurity Nutrition Incentives program, or FINI, was created by the 2014 farm bill with a relatively small budget, which it has employed with great success. FINI-funded projects typically provide point-of-sale incentives, such as rebates or bonuses, to SNAP users for the purchase of fruits and vegetables. And because priority is given to local produce, FINI helps keep more food dollars in local communities and in farmers’ pockets. Funded by FINI, the Double Up Food Bucks program began at five Detroit farmers markets in 2009 and has since become a model for communities nationwide. Now operating in more than 200 farmers markets and retail outlets throughout Michigan, Double Up Food Bucks gives shoppers an extra $10 to spend on local fruits and veggies for every $10 in SNAP benefits they spend. In its first five years, Double Up Food Bucks has helped SNAP participants purchase some 3 million pounds of healthy food, directing more than $5 million in purchases to Michigan farmers and vendors. Though FINI is still young, research shows it’s working—one study found that more than three-quarters of participants in FINI-funded initiatives reported improved health among their families. In Michigan, Double Up Food Bucks is just one of many successful FINI-funded projects—entities across the state received nearly $650 from FINI per 100 SNAP participants in 2017 (compared to a national average of $139). Learn more about Double Up Food Bucks, and read our recent blog on how FINI benefits farmers, eaters, and communities. 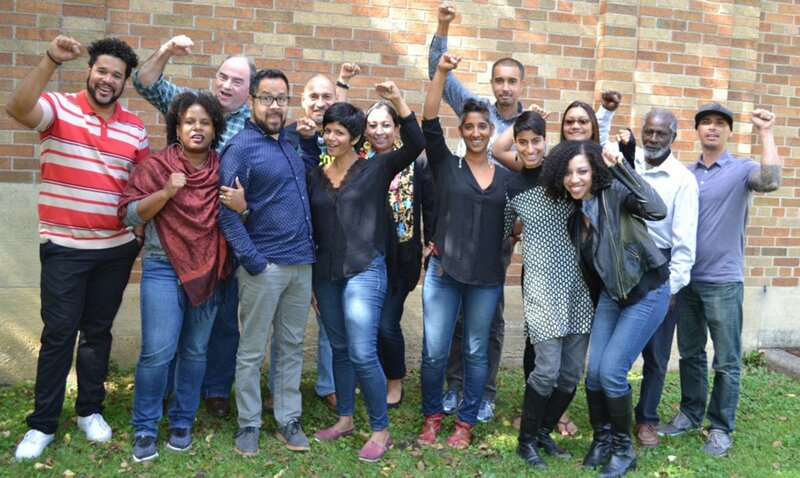 The HEAL Food Alliance is a multi-sector, multi-racial coalition building collective power to transform our food and farm systems. The coalition is led by its member organizations, which represent the four major dimensions of the food system that make up the coalition’s name: Health, Environment, Agriculture, and Labor. With members across the country, HEAL strives to amplify the experience and expertise of frontline communities who are most burdened by the inequities of our current food and farm systems. HEAL’s 10-point Platform for Real Food is comprehensive, touching on all realms of our food and farm systems. The organization’s policy priorities range from ensuring dignity for food workers and their families, to fighting the predatory tactics of multinational food companies, to phasing out factory farming. Its platform is ambitious and far-reaching, but HEAL leverages its broad coalition to lead work in three distinct and bold areas: promoting the expansion of the Good Food Purchasing Program to new cities; training food leaders around the country through its School of Political Leadership; and exposing the damaging practices of the powerful corporations that abuse workers, small farmers, consumer health, and the environment. HEAL was founded on an understanding that we cannot solve the problems of our food system without addressing the many inequities, injustices, and disconnects that result when we value profit over people and the planet. By making real solutions more politically feasible, HEAL strives not only to change policies, but also the underlying structures that hold up our political economy. And no single organization, alliance, or sector can transform these structures alone: HEAL is a cross-sector coalition that connects leaders around their country fighting for real change for their communities. Read more about the HEAL Food Alliance’s , and learn why food and agriculture policies must address the needs of marginalized communities. Congress should increase federal farm and food investments to enable communities in every state to build healthier, more sustainable food systems. Many federal programs should be protected, strengthened and expanded through the five-year federal farm bill. These include programs that support and train new farmers and ranchers, offer incentives for farmers to adopt more sustainable practices, fund innovative agricultural research, expand local markets for farmers, make nutritious foods more available and affordable, and ensure that our nation’s most vulnerable individuals and families can put food on their tables. States and localities should explore every option to use agriculture, education, health, tax, and zoning policies to address problems and make their residents healthier and their ecosystems and economies more sustainable. Jurisdictions that do not already have food policy councils in place should consider establishing such coordinating bodies. The USDA and land-grant universities in every state should expand food system data collection and transparency efforts to give researchers and other stakeholders greater insight into the impacts of existing initiatives and help policymakers design better programs in the future.